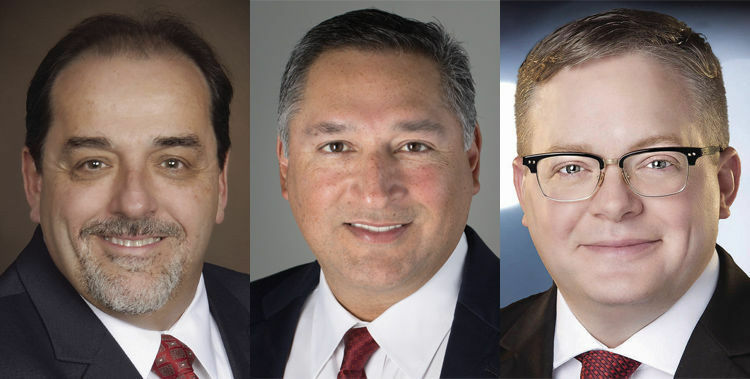 McALLEN — Javier Villalobos and Timothy Wilkins will head to a runoff election as neither candidate earned more than 50 percent of the vote in Saturday’s three-way race for District 1 commissioner. Villalobos received 505 votes (37 percent) compared to Wilkins’ 472 votes (35 percent). 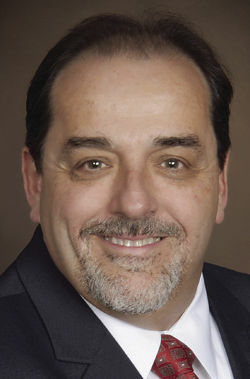 Joseph M. Caporusso, the other candidate in the race, earned 375 votes (28 percent). The election results won’t be official until certified at a later date. Turnout in the District 1 race was roughly 10 percent — 1,358 out of the 13,788 registered voters in the district cast ballots in the special election. The seat came up for grabs after Commissioner Richard Cortez announced his bid for county judge, which required him to give up his post. The runoff election date will be determined by the city commission, but not at Monday’s regularly scheduled commission meeting. It will be on the agenda for the following meeting, according to City Secretary Perla Lara. The last contested District 1 election was also a special election, following the death of former District 1 Commissioner Scott Crane. That special election was held on April 4, 2015, and the runoff was a month later on May 9. In that May 9 runoff, 2,414 ballots were cast. Whoever wins the special election runoff will fill the rest of Cortez’s term, which ends in May 2021. Villalobos, an attorney and former Hidalgo County GOP Chairman, received 351 early votes compared to Wilkins’ 269 and Caporusso’s 210. Villalobos added that he will take a little time off to strategize. Wilkins, CEO of CADTax Property Consulting and owner of Sofie’s ‘SS’ Saloon, said he’ll restart his campaign engine on Sunday. Caporusso said he was “shocked” at the results. Caporusso said he ran a positive campaign, which is what he thought McAllen voters wanted. His message clearly did not resonate, he said. Meanwhile, Wilkins, who spent more than $45,000 on his campaign compared to Caporusso’s more than $23,000 and Villalobos’ more than $12,000, attacked Caporusso on social media over the last week. Caporusso, a partner in Doctors Hospital at Renaissance, received a $10,000 contribution from the Border Health Political Action Committee, which Wilkins publicized on social media, and then took further action. He filed a complaint with the city attorney’s office that the donation violated a city cap on political contributions, based on a city ordinance. While Wilkins called this a “major violation,” City Attorney Kevin Pagan read the ordinance differently, but said there’s room for a grammatical argument. Villalobos raised concerns about the PAC contribution as well, but did not file a complaint, Pagan said. Caporusso said his interpretation of the ordinance suggested he was not in violation. “In our reading, it excludes PACs from that cap the ordinance talks about,” Caporusso said. Throughout the campaign, Wilkins knocked Caporusso regularly for his DHR ties and his support of a healthcare district, which has failed multiple votes in Hidalgo County. Villalobos has opposed the healthcare district as well. He brought this up throughout the campaign but focused his message on his experience in working with municipalities, while Wilkins tried to push his small-business mindset. At multiple forums, Villalobos and Wilkins tended to agree regularly.